Hiring Bri and the Desert Child Events team was seriously the best decision I made during my wedding planning process. Not only did I completely fall in love with Bri's style after stalking their Instagram and website but I knew she was "the one" based off her style of communication. Communication is so key during this process and I appreciated Bri’s response time, willingness to answer all of my questions (no matter how many I had), and attention to detail. Then the day of... these ladies were busting their butts making sure every little detail was perfect and in order. From moving incredibly heavy wine barrels themselves, to convincing my ring bearer to walk down the aisle, to creating beautiful displays with my personal decor, they did it all and did it with such grace. Everyone was so impressed by them. We also stayed right on time with everything, which is nearly unheard of with weddings. If you are looking for a wedding coordinator/planner, THIS is your team. I promise you won’t regret it. And if you are on the fence and don't know if you want to hire a coordinator/planner, DO IT! Again, you won’t regret it and the money will be well spent. You ladies are rock stars and I owe our entire wedding outcome to you three. It literally was the best day ever so thank you SO much for absolutely everything. Hiring Bri as my month of wedding planner was hands down THE BEST DECISION EVER. Bri is professional, personable, on-time, thoughtful, detail oriented, and many more positive adjectives. Leading up to my wedding everyone asked me if I was stressed out and I was able to say, "No, Bri has got it covered". Even my very organized and high strung MOHzilla was impressed by her. For me, the main stress point was dealing with all the vendors and orchestrating all of them, reviewing contracts, and yadda yadda. Bri took care of all of that the month leading up to my wedding. She flawlessly executed our wedding and it was STUNNING. I loved having her as my wedding planner. She's easy to talk to, and I never saw her flustered. Don't hesitate to hire her, you will not regret it. Bri and Desert Child Events worked with me for my long two year engagement to plan the wedding of my dreams and I honestly don’t know what I would have done without them. I was so comfortable on the day of my wedding that everything was being taken care of and running smoothly because Bri is ON TOP OF IT! I cannot even fathom how stressful my wedding day would have been if Bri and her team were not there keeping everyone on schedule, communicating with vendors, and making sure everything was set up perfectly. It is a ton of work but because of Desert Child Events, I didn’t have to worry about any of it. I was able to focus on enjoying myself and taking in all the love from my friends, family, and new husband. My wedding day ran so smoothly. There were no disasters or emergencies and all of my guests had a great time. So much of that is because of Bri’s meticulous planning and organization. The wedding planning process was made easier too because Bri found vendors that matched my style and my budget, which saved me so much time. All of the vendors she recommended were fantastic. I could not be happier with my choice to hire Bri and Desert Child Events. If you are on the fence about hiring a planner, I highly recommend going for it and calling Bri. 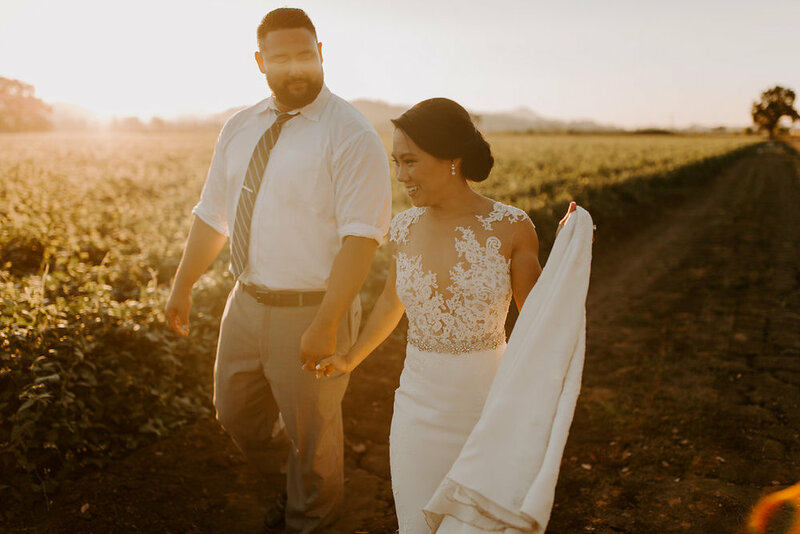 Getting married and throwing a beautiful and fun party is stressful, and she will take so much of that weight off your shoulders so you can be present, enjoy your engagement, and take in all of the love and happiness on your special day! You can find all of our client experiences on these sites!